Developing leadership skills is key to becoming a great leader, and requires a commitment to learning and developing those skills as an aspiring leader, but also once you’ve become a leader. 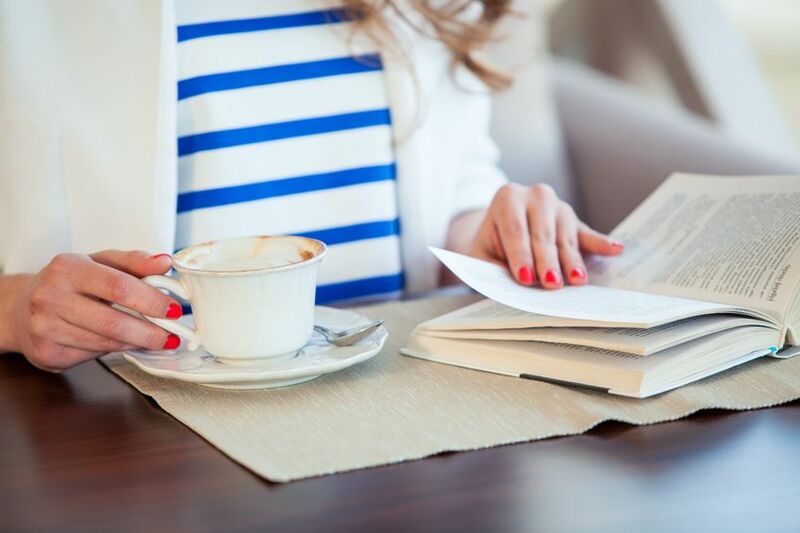 We’ve pulled together a list of new books and also some of our best-selling favorites. 1. P2P Replaces B2B and B2C – Services and goods are no longer sold from business-to-business or business-to-consumer, they are sold people-to-people. 2. 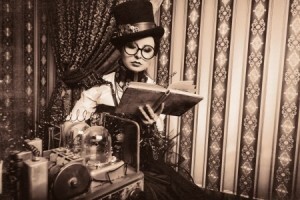 Human Companies Win – People connect with humanity, be yourself and show that you care, and your business will be magnetic. 3. Change Needs a Blueprint – The best businesses embrace and drive a “change strategy” for massive growth. 4. Purpose Before Technology – Start every project or relationship by understanding the purpose, technologies should merely enable that purpose, not define it. 5. 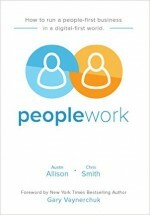 Quality Create Quantity – In Peoplework, lead generation focuses only on quality. Only quality, brings quantity and more importantly, loyal customers. 6. Service Marketing – Service isn’t overhead, it’s marketing. It also may be the only marketing that works in the People Revolution. 7. Businesses are Built on Communities – The greatest companies grow by creating an audience and culture of their own. It doesn’t happen by accident. 8. Passion Powers Profit – Investing in passion produces significant profits and exponential return over time. 9. Stars are Made in Hollywood – The best only surround themselves with the best. Your business is only as great as the people that comprise it; who you associate with defines who you are. 10. Only You Write Your Story – Never quit what you believe in. If you quit, you are finished. If you never quit, one of two things will happen: 1) you will succeed, or 2) you will learn and grow. In a world where technology and social connection is a part of everything we do, the core principle is simple to be a good leader and lead a successful business: PUT PEOPLE FIRST. 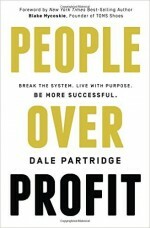 In a world where money rules, Dale Partridge reiterates in this book the importance that “People Matter.” He discusses the seven core beliefs shared by consumers, entrepreneurs, and business leaders behind the rise over the past decade of building compassionate, socially responsible organizations, “good companies”, from start-up to corporate transformations. This book challenges readers to think differently on how they conduct business and also who they do business with. Team of Teams offers insights into the modern practice of leadership and management required to navigate and succeed in today’s ever-changing world with a collection of insightful ideas told through entertaining stories ranging from corporations to hospitals. 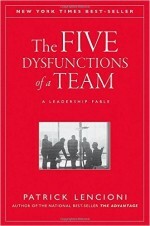 The book focuses not on becoming a great leader, but on inspiring and building an entire workforce of great leaders. 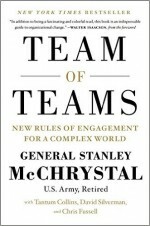 It takes the reader on a journey that outlines typical management practices, with a traditional focus on efficiency and scientific management, discusses the shortcomings of this type of thinking in today’s increasingly complex world, and provides principles for effective leadership derived from lessons learned in military practice. 1. Absence of Trust: stemming from an unwillingness in the team members to be vulnerable and genuinely open up with one another about their mistakes and weaknesses. 2. Fear of Conflict: inability to engage in unfiltered, passionate (yet constructive, though it may strike you as odd) debate. 3. Lack of Commitment: no buy in and commitment can be expected when ideas and opinions have not been aired and genuinely taken into consideration prior to a decision. 4. Avoidance of Accountability: without commitment to a clearly defined set of goals, team members will hesitate to call their colleagues on their actions and behaviors that are counterproductive for the team. 5. Inattention to Results: Avoidance of accountability leads to a state where team members tend to put their individual needs above the team’s collective goals. 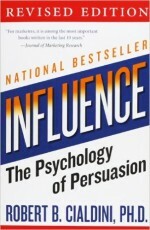 In this classic book on persuasion, Cialdini argues that influence isn’t an art, but science. He explains the psychology of why people say “yes” with six principles of ethical persuasion: reciprocity, scarcity, liking, authority, social proof, and commitment/consistency. He shares with the readers how to use these principles to become a skilled persuader—and how to defend yourself against them. A well-written, intelligent, and entertaining read. Missteps made during the crucial first three months in a new role can jeopardize or even derail your success. The First 90 Days, Michael D. Watkins offers a detailed, actionable breakout of the strategies to use during the first 30, 60 and 90 days for conquering the challenges of transitions—no matter where you are in your career. 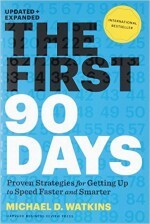 The First 90 days is a must-read for any new mangers or anyone starting a new role. 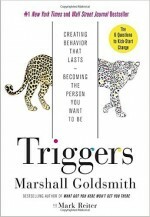 Before reading this book, it is important that you (and your team) first take the online Strengthsfinder assessment that comes with this book, to identify your Top 5 Strengths from a total of 34 (See also Now Discover Your Strengths). 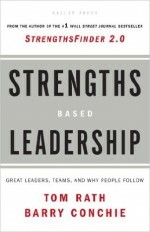 Once you’ve identified your Top 5 Strengths and the Top 5 Strength of your team members, this book helps leaders and individuals understand how to be more effective leaders based on those strengths. 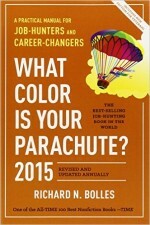 In this book, Tom Rath and Barry Conchie use firsthand accounts from highly successful leaders — including the founder of Teach For America and the president of The Ritz-Carlton — to show how each person’s unique strengths can drive their success. In researching why some teams succeed and others don’t, a Marine Corps general he explains, “Officers eat last,” meaning great leaders sacrifice their own comfort—even their own survival—for the good of those in their care. 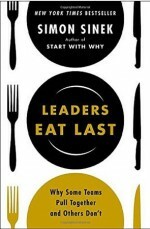 Sinek illustrates with a wide range of examples, how the best organizations foster trust and cooperation because their leaders build what Sinek calls a Circle of Safety, which leads to stable, adaptive, and confident teams. One of is the world’s most popular job-hunting guide with more than ten million copies sold and widely recognized as the top guide to finding a job, this book offers practical and useful advice for getting through periods of unemployment, finding a career counselor, discovering personal skills, interviewing, negotiating a salary and benefits, and so many other things. The new 2015 edition includes up-to-date research and tips about writing impressive resumes and cover letters, doing effective networking and confident interviewing, and negotiating the best salary possible.